Did you know that the Italian culture is renowned for being incredibly family oriented? If you didn’t, you do now and of course, here at Villa Romana, we aim to give you an authentic Italian experience. We love to see a big family table and we pride ourselves on being one of the most welcoming restaurants for children in Liverpool. What puts us amongst the best family restaurants? It’s easy for us to say that we are one of the best family restaurants in Liverpool but we able to back it up too. We believe that children should be able to choose from the same great menu that the adults get to enjoy, which is why lots of our main meals come with two size options – the smaller of which is suitable either as an adult starter or a child’s main. We have plenty of vegetarian dishes on our menu and we are very happy to cater for special dietary requirements (including ‘picky eaters syndrome’!). Of course, the best places to eat with children are such for plenty of other reasons besides their menu. If you are looking for somewhere to eat with your kids you’ll want to know that they will be welcomed, rather than just tolerated and able to be themselves. To consider a venue amongst the best family restaurants you’ll probably want to know that they have plenty of available high chairs and other facilities that will make your visit an enjoyable one. We’ll say it again – at Villa Romana we pride ourselves on being one of the most welcoming restaurants for children in the city. As such, we will always go above and beyond to make sure you have everything you need, from the food to the facilities and the service. We are open for lunch from 12 noon every day of the week, so if you are in the city and fancy and early lunch for you and your little ones you can drop in to see us for the most authentic of Italian pizza and pasta dishes. There is sure to be something for the whole family to enjoy on our extensive menu. 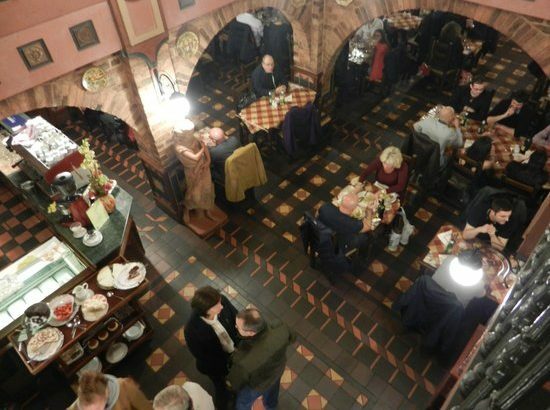 The range alone has long seen us regarded as one of the best family restaurants around. Whether you’re coming for a treat night with the children or a big family feast, we look forward to welcoming you. Contact us in advance to book and to let us know about any special requirements, then judge for yourself whether you believe we deserve to be known as one of the best family restaurants around.